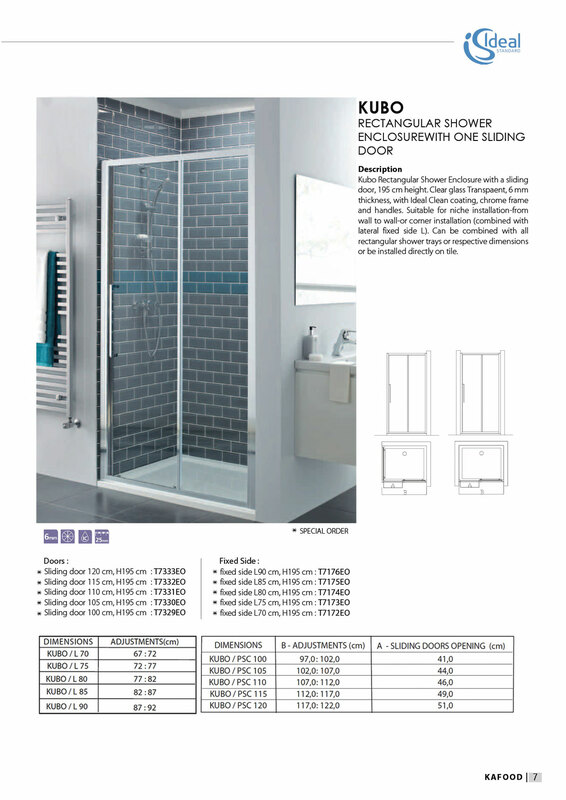 Kubo Rectangular Shower Enclosure with a sliding door, 195 cm height. Clear glass Transpaent, 6 mm thickness, with Ideal Clean coating, chrome frame and handles. 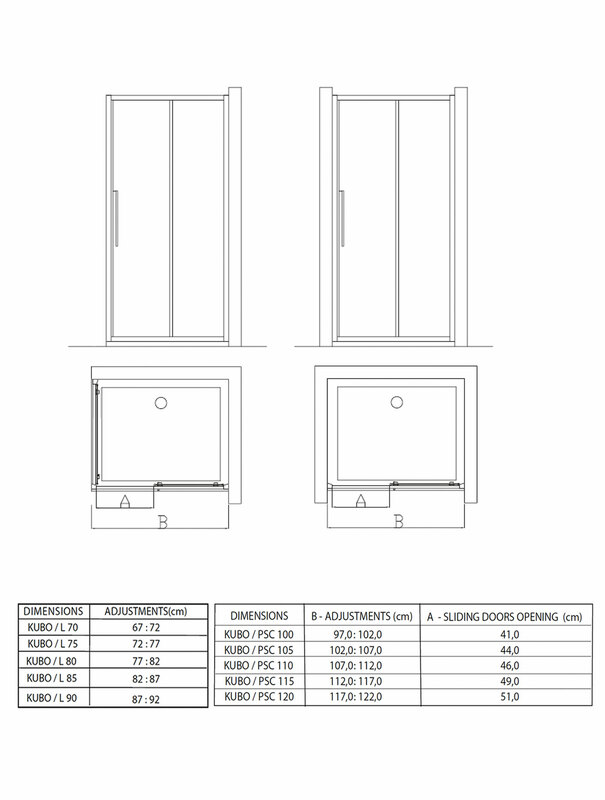 Suitable for niche installation-from wall to wall-or corner installation (combined with lateral fixed side L). 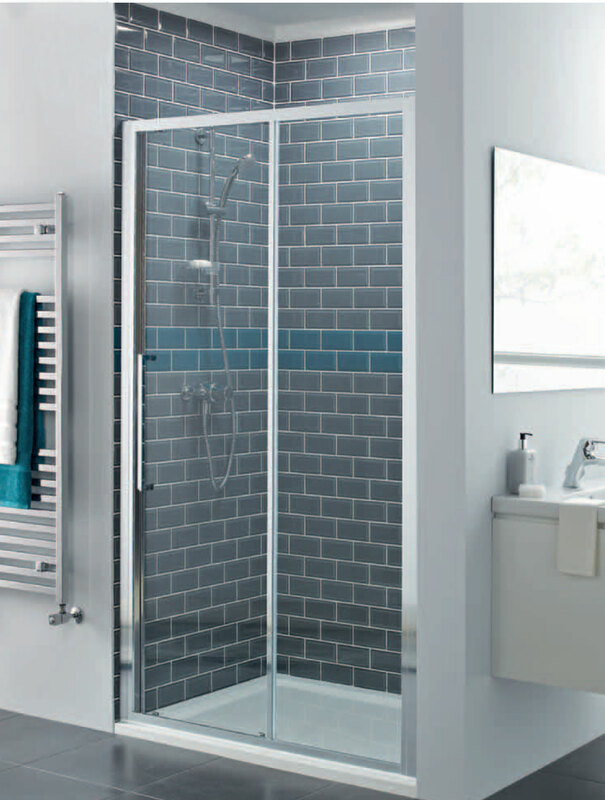 Can be combined with all rectangular shower trays or respective dimensions or be installed directly on tile.